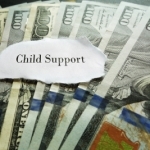 Often when I meet with both current and prospective clients I receive questions about how income is determined and what sources may be considered by the Court when calculating child support in Arizona. First, any court ordered spousal maintenance being paid shall be deducted from that parties gross monthly income and if the other person to the action is receiving that spousal maintenance the same shall be added to his/her gross monthly income. Any court ordered child support being paid for children of a different relationship shall be deducted from the paying parties gross monthly income. However, any court ordered child support arrearage payments will not be considered in any adjustment to that persons gross monthly income. 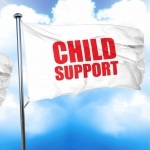 Moreover, a parties gross monthly income may further reduce if it is shown that he/she is the primary custodial parent of child(ren) from a different relationship. This deduction may be used whether the parent is primary custodian of the child(ren) with or without a Court order. Adjusted gross income then for child support purposes is determined then using a party’s gross income and then subtracting from it any adjustments listed above. Gross income may include income from all sources such as, but not necessarily limited to: wages, commissions, salaries, dividends, bonuses, pensions, severance pay, trust income annuities, interest, some social security benefits, capital gains, worker’s compensation, unemployment, disability, gifts, prizes, and other non-cash benefits. Gross income however is not to include benefits received as child support or from a means tested public assistance program, to include, but not necessarily be limited to Supplemental Security Income (SSI), Temporary Assistance to Needy Families (TANF) or Food Stamps and other General Assistance. 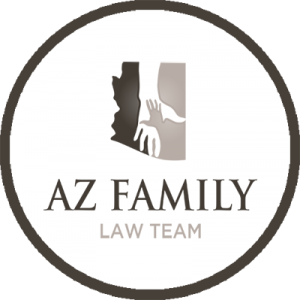 In determining income of the self-employed it is strongly suggested that you meet with an experienced Arizona family law attorney. How Can Grandparents Help in Family Law? How Long Do You Have to Pay Child Support in Arizona?